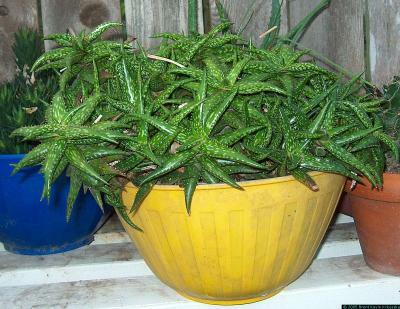 This plant likes moderate amounts of water during the growing season, slightly less during winter. I protect it from hot afternoon sun. It makes a nice mound with all the pups. As it ages, the mass will bulge upwards in the middle as it tries to outgrow its pot, and keep bulging upward long after you thought possible. Very easy plant to keep healthy.